Quick Cinco de Mayo quiz: Where is the margarita more popular, the United States or Mexico? If you guessed the U.S. you win. Margaritas are the number one cocktail ordered in the U.S. In Mexico, the Paloma — a combination of grapefruit soda, tequila, salt and lime juice — is the mixed-drink of choice. But north of the border, margaritas reign supreme and, as you might guess, there's no day where margaritas are served more in this country than Cinco de Mayo. Cinco de Mayo is sort of an odd holiday. Contrary to popular belief, it is NOT Mexican Independence Day — that takes place in September. No, Cinco de Mayo is simply the commemoration of a battle where the French were defeated in Puebla. In Mexico, it is not an official holiday and Puebla is really the only place where the day is observed. This is not to say you shouldn't celebrate yourself. After all, there's a solid American tradition of embracing other countries' holidays as an excuse for a good happy hour (think of St. Patrick's Day). Plus the weather is so nice in May and there are really no other good party holidays until Memorial Day (yes, there's Mother's Day, but that's really more about brunch). So if you're looking for an excuse to be festive, then today is the day to break out the chips and guacamole and make a nice pitcher of margaritas. To learn more about this classic Mexican cocktail and tequila itself, I interviewed a couple of experts. Dave Karraker works for SKYY Spirits in San Francisco, which distributes both Cabo Wabo and Espolón Tequila (plus he's a friend of a friend), so I figured he'd be a good person to speak with. I also asked Julian Limon Nunez, a colleague of my husband's whose family owns the Tequila El Viejito distillery in Guadalajara Mexico, to tell me a little bit about tequila. So here's a little primer on margaritas and tequila for your Cinco de Mayo holiday. Enjoy and remember to call a cab for any friends who are celebrating with you. What's the difference between the various types of tequila? First of all, tequila must be produced in very specific regions of Mexico to be allowed the "tequila" designation. Just as you can't call a sparkling wine champagne if it's not made in the Champagne region of France, you cannot call a spirit tequila if it is not made in Jalisco or a few other designated areas in Mexico. There are two main categories of tequila. 100% agave -- This is a spirit made entirely from the agave plant. Mixto -- This is a mixture of agave plus other ingredients which include grain alcohols and/or sugar and food coloring. It must be at least 51% agave to qualify as tequila. Both Julian and Dave suggest avoiding mixtos if for no other reason than mixed alcohols give you a hangover. Plus, the flavor is harsher and, quite honestly, not all that great. If you've ever had a tequila that made you swear you'd never drink it again, chances are it was a mixto. 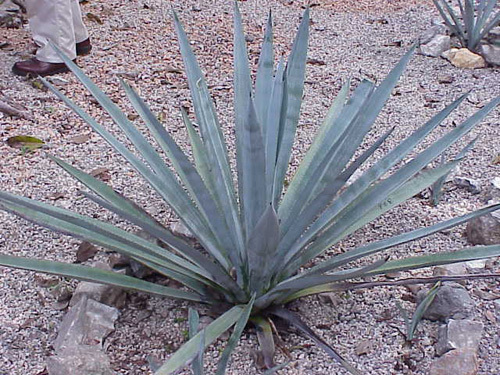 Blanco (silver): This tequila is not aged after it's been distilled and has an earthy agave flavor. Reposado: Aged between 2months to a year, reposado tequilas offer a smooth taste without a lot of bite. Joven (gold): This is a combination of blanco and reposado and is a great choice for mixed drinks. Añejo: Aged between one and three years in oak barrels, this is a sipping tequila. Like a fine Scotch or other aged spirits, it has a refined taste that is best appreciated on its own. Extra Añejo: Aged for three years or more in oak barrels, this tequila is the highest quality available. Both Julian and Dave recommend using blanco, joven or reposado tequila for making margaritas. Blanco will give your margarita more of a true agave flavor while reposado is for those who want a smoother taste. Joven is a nice balance between the two. Don't use añejo and extra añejo as they are too refined to mix with citrus or really anything else and should be appreciated on their own. Plus they're a lot more expensive so it's a bit of a waste to use as an ingredient for a mixed drink. Why do people salt their margarita glass? According to Dave, salt opens up the taste buds and the palate, which aids in the tasting experience. Julian thinks the salt neutralizes the sweetness of the cocktail. He says that a lot of Mexican desserts are sweet and salty (like tamarind confections), and salting something sweet is common in Mexico. Plus the salt nicely accompanies the agave and lime flavors and enhances the overall margarita experience. 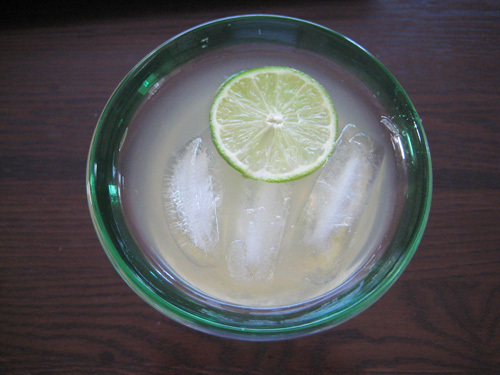 When salting a margarita glass, be sure to run a lime around the edge to moisten the lip so the salt sticks. Salting your margarita glass is really a personal choice. And, if the salt bugs you, then leave it off. There are two ways to infuse sweetness into your margarita, adding an orange liquor or including agave nectar or syrup. A recipe using each method is provided below. Triple sec, Cointreau and Grand Marnier are often used to add a sophisticated orange sweetener to margaritas. They are commonly added in restaurant and bar drinks because they provide a smooth balance to the lime; they also make the drink more expensive. If you prefer a natural agave flavor, then you can simply use an agave syrup, which naturally sweetens the drink and heightens the agave flavor, adding a complexity that other sweeteners diminish. And now for the part you've been waiting for, the actual recipes so you can get down to celebrating. 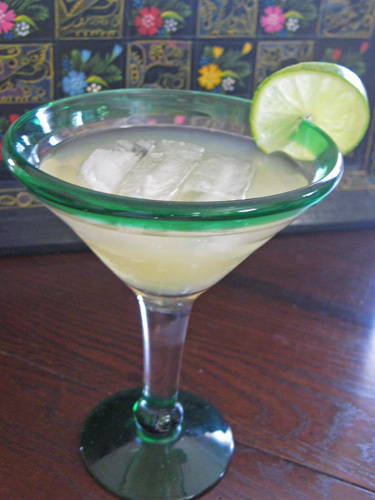 I've included two margarita recipes here. The first is a Classic Margarita. Recommended by Dave, who says it's the recipe that Tommy's uses, it forgoes the orange liquor and instead relies on agave syrup. With only tequila, lime and agave this is a purist's drink. The second recipe uses Cointreau for a sweeter more refined flavor. Both are a great way to celebrate the day. Moisten the outer rim of a rocks glass with the lime wedge and coat lightly with salt. Fill a cocktail shaker with ice. Add the tequila, lime juice and agave nectar, shake well and strain into the rocks glass. Summary: The second recipe is from Chow. With Cointreau added to augment the drink with an infusion of orange flavor, the result is quite elegant.